Which Rogers Cup moment is THE Rogers Cup moment? With your help, we’re about to find out. Check out 16 of our favourite Rogers Cup memories from Toronto and Montreal below and vote in our daily Twitter polls from @rogerscup and @couperogers as we #GetCloser to your pick for the top moment! Want more bracket fun PLUS the chance to win big? Pre-register now so you can submit your picks in the Rogers Cup Bracket Challenge when the draws are announced – a perfect bracket wins you $1 million! Milos Raonic faced compatriot Vasek Pospisil in the first all-Canadian semifinals at Rogers Cup. Milos would go on to become the first Canadian finalist at Rogers Cup since Robert Bedard in 1958. Jo-Wilfried Tsonga surprises the field in 2014 by beating four Top 10 players in a row, including Novak Djokovic and Roger Federer, to win his first Rogers Cup title and snap the 10-year hold the Big Four previously had on the championship. After a two-year retirement in which she became a mother, Kim Clijsters plays Rogers Cup in 2009 – just her second tournament back – and defeats world No. 9 Victoria Azarenka en route to a third round showing. She would go on to win the US Open three weeks later. 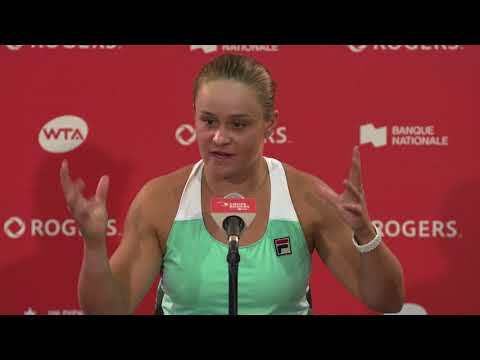 Aleks Wozniak reaches the quarter-finals in her hometown, defeating the likes of Jelena Jankovic before falling to her good friend Caroline Wozniacki in the quarter-finals. Two young and relatively unknown Canadians (at the time) – Raonic and Pospisil – take on the world No. 1 and world No. 2 Nadal and Djokovic in a first-round doubles match on Opening Night in 2010 – and defeat the two best players in the world! Belinda Bencic tears through the 2015 draw, defeating a Grand Slam finalist or champion in all six rounds she played. Highlights include a three-set victory over world No. 1 Serena Williams in the semifinal and former French Open finalist Simona Halep in the final for her first ever Premier 5 level event. 18-year-old Ana Ivanovic wins the biggest title of her career in Montreal after defeating Martina Hingis in the final and becomes the WTA’s newest star. 19-year-old Nadal beats Andre Agassi in a much-anticipated final of generations, and Rafa’s first hard court title. Federer wins his first Rogers Cup title in 2004, just a few months after becoming world No. 1 for the first time. Serena Williams goes on a statement-making march to the title in 2011. 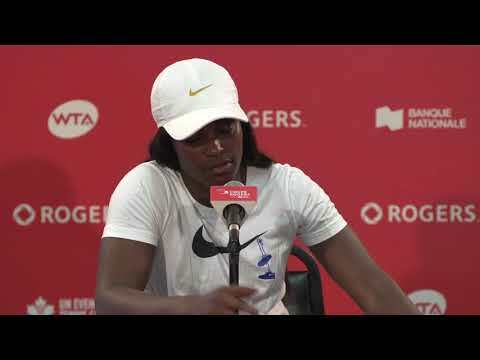 After nearly a year away from the game following a hematoma and pulmonary embolism, she goes on to defeat Sam Stosur in the final for her second Rogers Cup title. After a 14-year absence in Montreal, Venus and Serena meet in the semifinals for the 25th time of their careers with big sis beating lil sis. Agassi beats Pete Sampras in the final in their only meeting in Canada, their fourth match-up that year. It was also the last match played in the old stadium at Jarry Park in Montreal. In Toronto, Daniel Nestor and Sebastien Lareau capture the doubles title to become the first Canadians in the Open Era to win the Rogers Cup title. They also would go on to win gold together at the 2000 Sydney Olympic Games shortly afterwards. Monica Seles makes a valiant return to professional tennis at the Rogers Cup following her 1993 stabbing. She goes on to win the title – her first of four in a row – without dropping the set. Arantxa Sanchez-Vicario beats Steffi Graf in a tightly contested final that was interrupted several times by rain. Sanchez-Vicario won, ending Graf’s 32-match win streak on hard courts. It was just her eighth win over Graf in 31 tries. Think you know who’ll make new moments this year? Submit your picks in our Rogers Cup Bracket Challenge by July 24 at 12 am ET for your chance to win $1 million!